HOW TO FIX A MISTAKE MADE AT REGISTRATION? Competitor details (Name, club, provincial eligibility, SI/SIAC card number) can be changed without fee. A competition class change per event will be subject to availability and require a CA$5.00 fee. Dogs (or any other pets) are prohibited from the arena and on-course. Only qualified service dogs are permitted in the arena and on course. What do the abbreviations found in results mean? WHAT IF I LOST SOMETHING AT AN EVENT? The Event Centre will have a Lost and Found. Please check with an official and contact us through this website. WHAT TO DO IF I GET LOST ON A COURSE? All maps/control descriptions have a “safety bearing” printed on them. In the event of becoming lost, head in that direction, ideally to a major trail, road or the arena site. To avoid initiating unnecessary searches after the event, competitors MUST download at the download station even if they do not complete their course. WHAT IF I LOST A rental COMPASS OR A rental SI stick on a COURSE? If a competitor loose a rental compass, she/he will have to pay CA$40 for its replacement. If a competitor loose a rental SI stick, she/he will have to pay CA$50 for its replacement. How TO USE YOUR WHISTLE IN CASE oF AN EMERGENCY? The recognized distress signal is a series of three short blasts on a whistle. Use your whistle if you need urgent help because of an injury or distress. Pause and listen for reply and repeat to allow helpers to locate you. If you are injured, but still mobile, an alternative might be to make your way to the nearest control so that it is easier to locate you. Competitors are expected to render assistance to anyone who is injured, has blown their whistle, and requires physical assistance. Please give help as needed, and make event oﬃcials aware of the issue. All of the events will be held regardless of the weather! Dress for the weather. 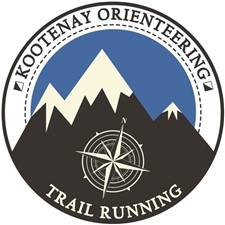 Weather forecast will be posted on the www.bcoc2019.ca website for each event. Check the Update page. WHAT IF THERE IS A FOREST FIRE NEARBY? If there are fire evacuation notices or unhealthy smokey conditions in the area, details will be posted on the http://www.bcoc2019.ca website. Check the Update page. In extreme circumstances, the event may need to be postponed or cancelled. What courses and competitive classes are offered? The sprint, middle and long event description page have each a table with all of the courses and competitive classes that are offered. What aRE the COMPETION RULES? 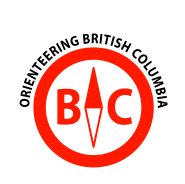 Orienteering Canada rules apply for all the British Columbia Orienteering Championship and Western Canada Orienteering Championship events. What are the hazards IN THE AREA? Carrying bear spray is certainly worth considering if you are concerned. If you are allergic to wasps or bee stings, please bring your necessary medication (Epipen, etc.) and carry it with you on course. There are some plants with thorns. There are no poisonous plants in terms of skin contact, but there are plants or mushrooms that can be poisonous if ingested. There are no poisonous snakes in the area.